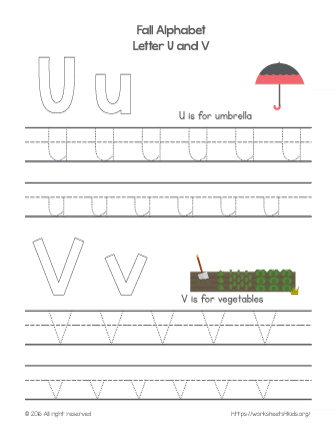 Ready for handwriting practice? 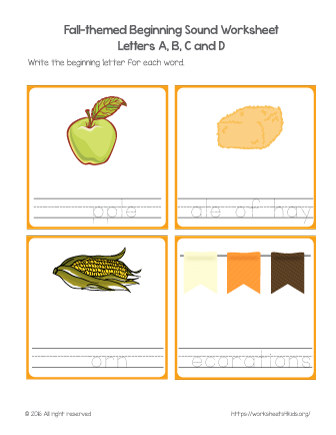 With this fall-themed letter sounds worksheet kids master letter-correspondence skills. 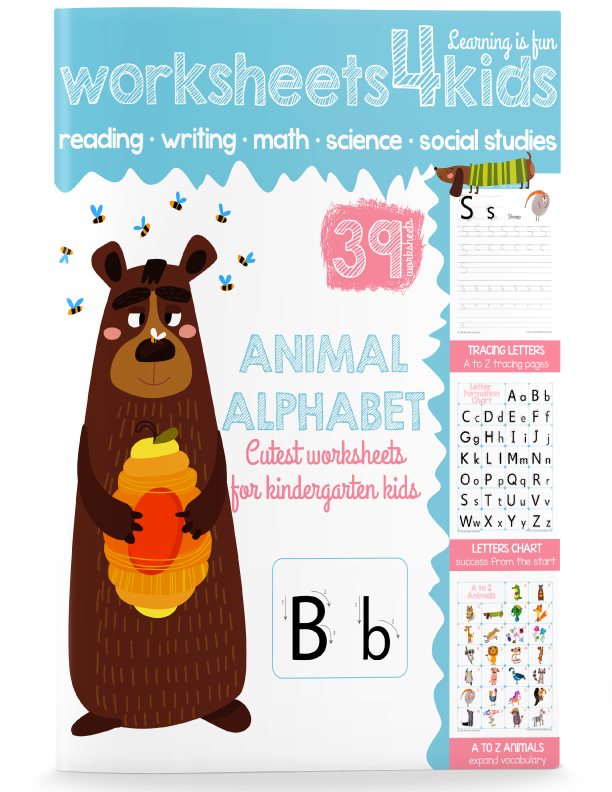 Kids practice letter-sound correspondence by recognizing the letter that starts word and learn the fall alphabet. 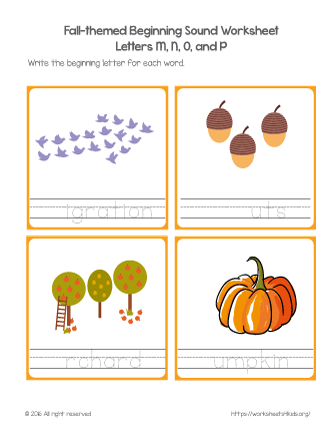 Fall-themed letter sounds worksheets help kids improve their phonics skills and expand their vocabulary. 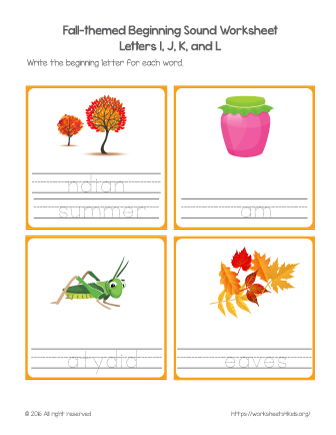 Which letter makes the beginning sound of fall? Students get fun phonics practice during this fall. 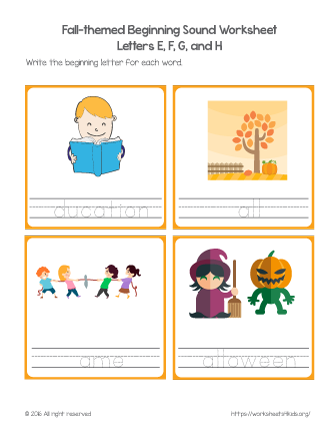 This fall worksheet focuses on practice letter-sound correspondence skills and learning fall related words. What is a color of the leaves falling the trees? Yellow! What vegetable do we harvest at fall? Zucchini! 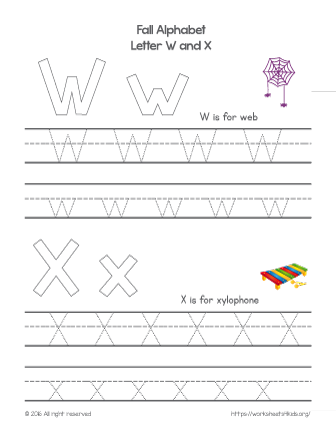 With fall worksheet, your child will practice tracing the letter W and letter X, as well learn new fall-related words. 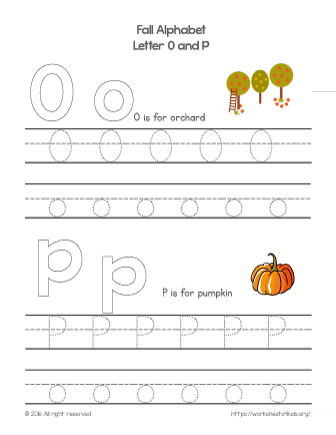 With this fall-themed worksheet, your child will color the letter U and letter V, then practice tracing uppercase and lowercase letters. 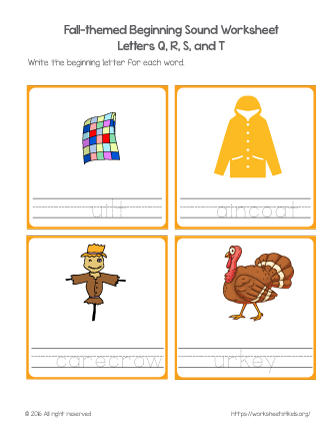 S - is for scarecrow and T - is for turkey. 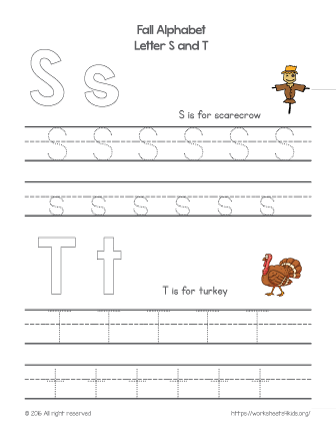 With this fall worksheet, your child will practice tracing uppercase and lowercase letters. 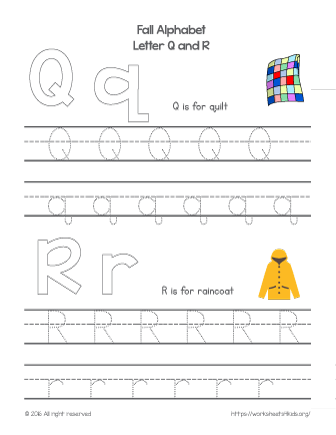 Q - is for the quilt, and R - is for the raincoat. 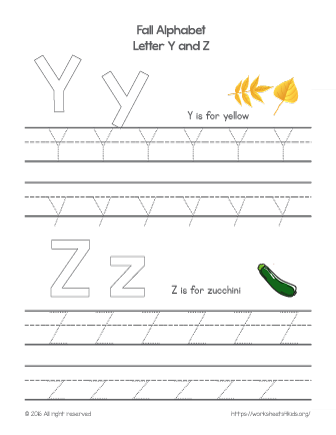 With this worksheet your child will practice tracing letter Q and letter R.
Learn how to trace the letter O and letter P and explore fall words that begin with these letters. 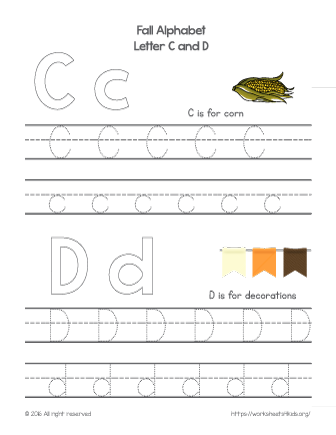 Color each letter or make an outline using play dough. Learning what fall word starts with this letter.